The UN refugee agency Thursday voiced concern for the safety of 100 Arab citizens who went missing after seeking shelter in Algeria and others stranded at the border with Niger. The organization appeals for access to assess the protection needs of the refugees. The UN Refugee Agency (UNHCR) was concerned that there were some 100 Arab citizens who have gone missing after trying to seek refuge in Algeria. 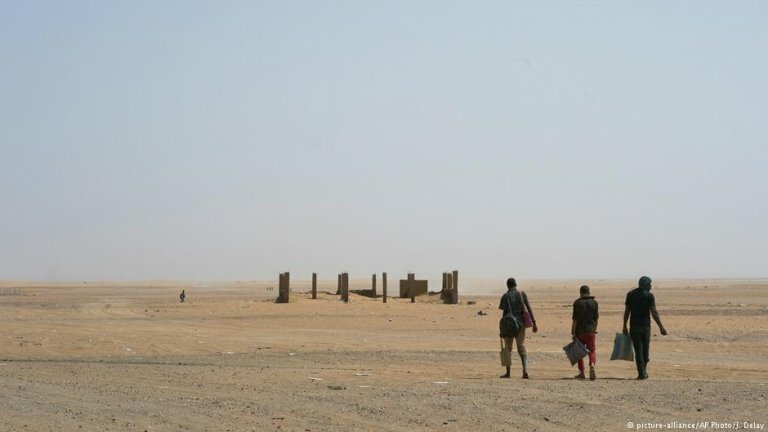 "Some 120 Syrian, Palestinian and Yemeni individuals were detained at the Tamanrasset Center in southern Algeria before being taken to an area near the Guezzam border post (at the southern border with Niger) on 26 December," the UNHCR said in a statement. "Some of the individuals in this group are known to UNHCR as registered refugees who have fled conflict and persecution or claim to have attempted to seek international protection in Algeria," according to UNHCR. The UN refugee organization added that 20 members of the group "remain stranded in the desert" and "the other 100 individuals who were taken to the border are unaccounted for." Hacen Kacimi, an Algerian interior ministry official told AFP on Thursday that a group of about 100 people were "expelled" on suspicion of links to jihadist groups. Most of the people in this group were Syrians from Aleppo. Kacimi added that they entered Algeria illegally after traveling through Turkey, Jorda, Egypt Sudan and Niger or Mali using fake Sudanese passports. Kacimi said they were put on trial in September and the courts ordered their expulsion. "We have hosted 50,000 Syrians in the past few years for humanitarian reasons," Kacimi told Reuters, alluding to refugees from Syria's civil war, "but we cannot accept members of armed groups fleeing from Syria when it comes to our security." Algeria banned Syrians from entering the country via its southern border with Mali and Niger, Kacimi told Reuters on Wednesday. Algeria has increased security measures in the south and southeast of the country after neighboring Libya, northern Mali and Niger fell into lawlessness as various armed groups became active in these areas. Algeria does not have asylum legislation but has seen an influx of sub-Saharan migrants in recent years. Rights groups estimate some 100,000 have entered the north African country in recent years. Human Rights Watch stated that Algeria has deported thousands into neighboring Niger and Mali in inhumane conditions, and without considering their legal status.